Believe it or not, most people may not need any Hong Kong Travel Visa for their Hong Kong vacation at all. Unlike many countries have many complicated travel document application processes before you can step into their border to spend money on their tourist industry. But it does not mean that you can just go ahead to arrange your trip without checking. I said most people. Some may need one. And it depends on how long you are going to stay. It is always safe to check. Different countries citizens have different period of travel-visa-free time of visit. In MOST cases, you can travel and stay in Hong Kong travel-visa-free for less than 30 days. If it's over, it definitely needs one. If you head to China or other Asian countries, it is not surprising to layover in Hong Kong which is the Asian hub. If that's the case, you may want to check if a HK travel visa is required, too. The Hong Kong Immigration site is very easy to navigate. The information and instructions are very clear. It doesn't take too long to find out your eligibility at all. Click here to find out. If you are going to Mainland China, you mostly likely will need to apply for a China travel visa. Even Hong Kong people need to have a Chinese visa before we can step into the border of the Mainland. It can be done in the Chinese embassy in your country. Or you can apply it during your Hong Kong tour. They have express service which can be done within a day. Just an advise for you, even you apply for the express service for the Chinese visa, line up in front of the office early in the morning. Unfortunately, they are not as efficient and courteous as those officers in the Hong Kong Immigration. It takes you at least an hour, if you are lucky enough, before you can step out. 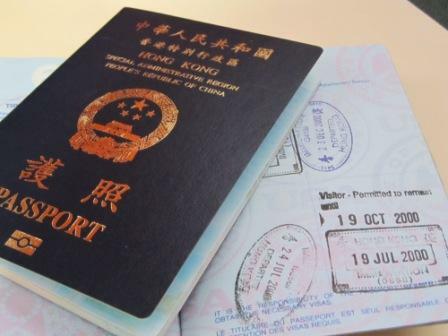 To find out more about applying the Chinese visa in Hong Kong, click here.